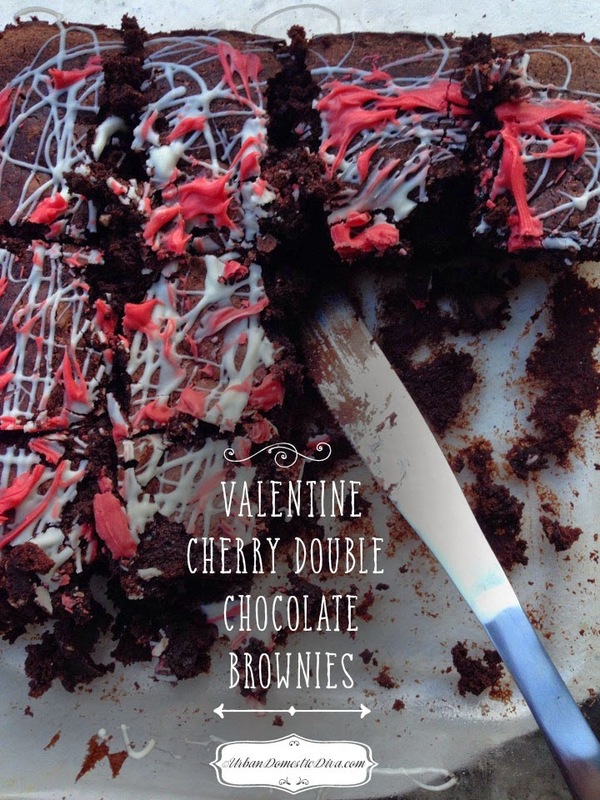 RECIPE: Valentine Cherry Double Chocolate Brownies using Trader Joe's Reduced Guilt Brownie Mix! I hope you are spending it with ones you love, and even if it's just yourself! The most important love is love of yourself, not to get all deep and philosophical on you. But it is very true, and I have learned that the hard way. When my self esteem was very low, that was when I succumbed to bad relationships and abusive boyfriends. It is only when you are OK to be alone, and at peace with yourself, and rejoice in who you are-that's when magic happens, and karma finds you your soul mate. I have a girl scout meeting today, and this is going to be a theme today-this day about love. My middle schoolers in my troop, I am sure question their worth and self esteem everyday. Boys are becoming more important, and so are good looks and clear complexions. All this is difficult when their bodies are changing everyday. SO I am going to have them write a valentine to themselves. Then they are going to write something they love about each other. Then, we eat yummy chocolate things and salty treats in celebration of US! Not bad, for Girl Scouts?! Right? 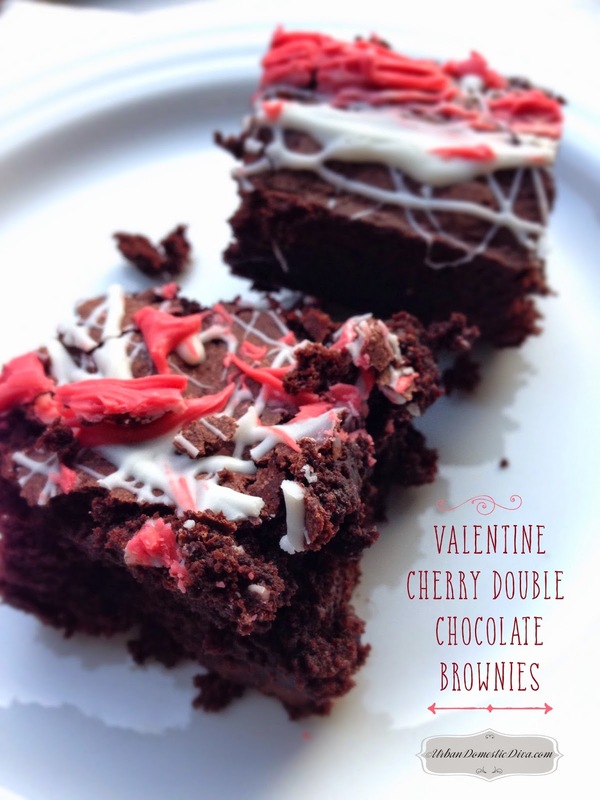 Here is a chocolate yummy thing to eat with your loved ones-or yourself. And if it's yourself, you will enjoy every bite. 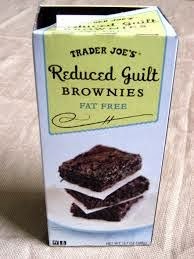 It's super easy because you use a brownie mix-in this case the Trader Joe's Reduced Guilt Brownie mix. Except we add a bit of guilt. Preheat oven to 350˚. In a large bowl stir the brownie mix with the sour cream and milk. Add the vanilla extract, the chopped cherries and the cherry juice. Mix for about 2-3 minutes, until the batter is well combined and shiny. Stir in the chocolate chips, and set aside. Spray and 8" x 8" pan with nonstick cooking spray. Pour the batter into the pan and bake for 38-45 minutes-or until top is puffy with small cracks and toothpick comes out clean at the center. Let the brownies cool for 10 minutes before transferring them onto a cooling rack. I actually keep them in the pan and let cool completely. Heat the vanilla bark (or white chocolate) at 50% power for a minute or so in the microwave with a dash of oil. Heat and mix until drizzling consistency. Drizzle about half of it on the brownies. Then add the red food coloring to the mix and drizzle the red all over the top. You will have a festive, contrasting embellishment for the top!